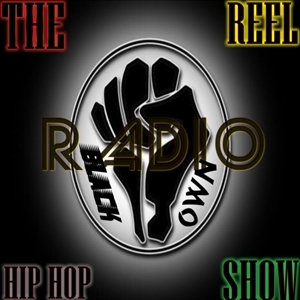 Twelve Radio The Reel Hip Hop is a urban podcast radio show on Blogtalk Radio that plays not only Rap,R N B,Reggae but also various other music speech from Malcolm X to the stand up comedy Richard Pryor. Twelve Radio The Reel Hip Hop Show is the only urban show with three days dedicated to female MC.Twelve Radio The Reel Hip Hop Show is two different brands made in to one brand,Twelve Radio was a skit on Foot Prints twelve round debut album and The Reel Hip Hop Is a inland Empire(southern Cali 909)urban talk show created by ILLAMCO CEO/President Michael (Mic Flex)Dixon. In 2004 The Reel Hip Hop Show was invited as media representatives for the Inland Empire to the BET awards hosted by Monique.In 2008 Twelve Rounds Promotional Dir and Co host Adrian (Sharastafari)Elliott took both brands and began broadcasting on 0op9the podcast station Blogtalk Radio as one brand. Since launching on Blogtalk Radio, Twelve Radio The Reel Hip Hop Show as played music by Bigg Bo(ATL)Paper Doll(Philly)M-Pound(Cali:IE)Empress Raw(MIA)just to name some of the artist we have broken records for. Twelve radio also services as the place to hear exclusive music from Twelve Rounds Recording artist,in a joint venture with Twelve Rounds Of Music ,Twelve Radio release Foot Prints Mix CD TwelveRadio.com hosted by Taquan on the internet.In 2013 Adrian (Sharastafari)Elliott parted ways with Twelve Rounds Of Music and later changing Twelve Radio to Black Own Radio The Reel Hip Hop Show .Bridging The Gap Between Us ,You And Them Threw Binary Signal!!! !